Mar 28 Let's make some biscuits! 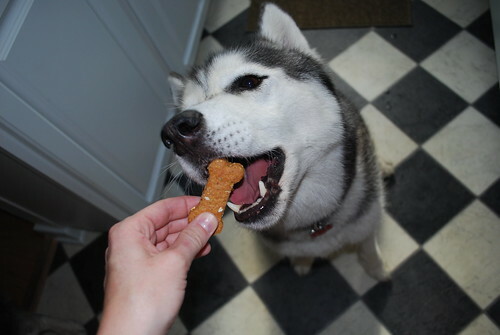 As Steve mentioned in our last post, Mom bought us a box of Homemade Dog Biscuit mix at the King Arthur Flour store in Vermont. 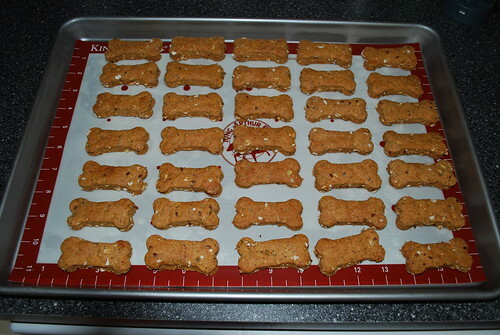 Over the weekend, we had a rainy day, so Mom and I decided to whip up a batch of the biscuits. 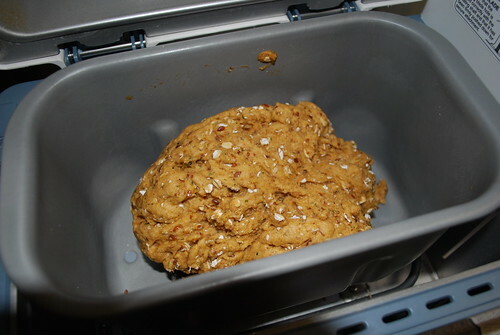 Mom decided to use the bread machine, on the dough cycle, to make the biscuits. 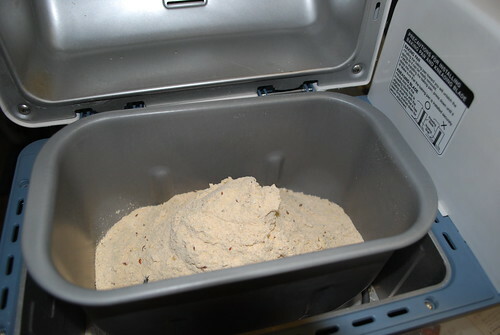 The box instructed to let the dough rest for an hour after mixing, so the bread machine does a good job of mixing and resting. 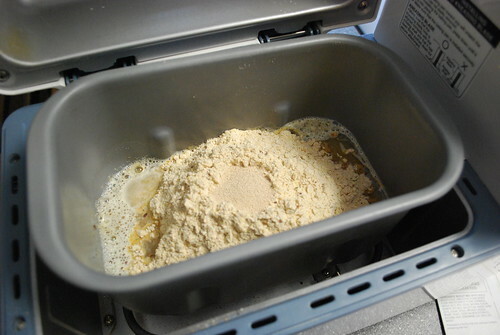 First we dumped the mix into the pan. Next we added some water and oil. 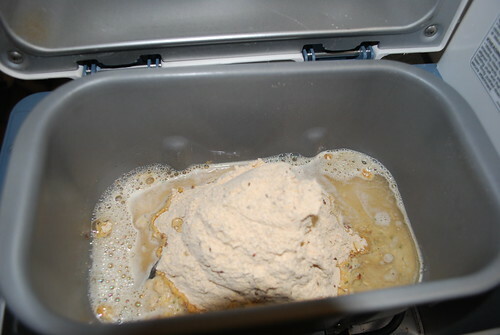 Finally we made a hole in the mix and poured in the yeast. It looked like a volcano, with yeast instead of lava! We pushed start on the machine and went to read some law school stuff until the machine told us it was done. Here's what we found. Looks yummy to me! 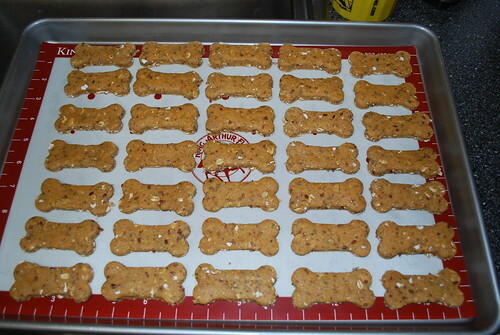 Next we rolled the dough out and used a cookie cutter to cut some bones. And into the oven. After about an hour, here's what came out. 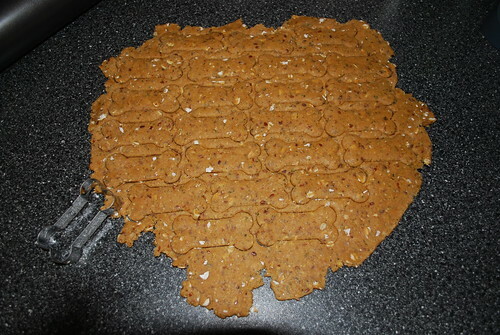 I could hardly wait for them to cool. 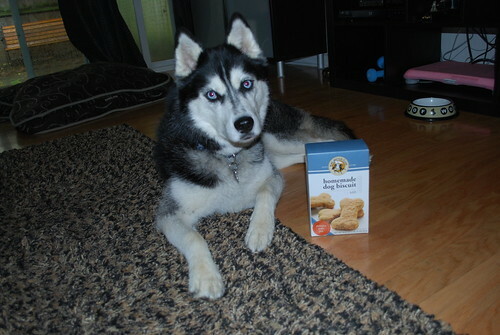 Once the biscuits were cool, I got the first bite. After all, I did all the work! Next Steve got a taste. He gave them two paws up! The biscuits were very easy to make and pretty delicious. 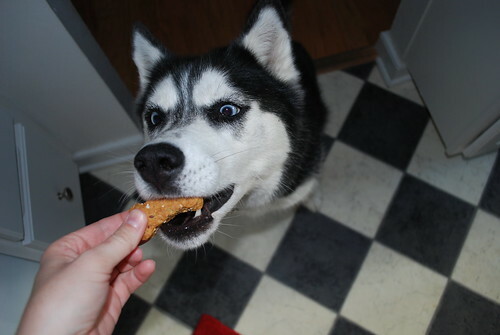 Nice and crunchy. I suggest you let this post inspire you to make your favorite biscuits, whether they are from a mix or from scratch!